Over 50 Studio Artists will open their doors for you to see what they create in their studios. The Artist in Classroom and Community Class programs demonstrate the work that happens onsite and in the community throughout the year. Our galleries are open with the continuing exhibitions Coming Into Being: Gathering the Elder in Me and In a Good Way: What Does Your Land Mean to You? with both artists giving a talk about their work. Please join us for art, food, music and fun, where all ages will find something to celebrate. Visit the website here. Angels Gate Cultural Center is home year round to one of the largest Studio Artist Programs in the region, with a diverse body of disciplines including ceramics, photography, printmaking, music, writing, and filmmaking. Several artists will demonstrate their craft and many have artwork for sale. Once again it is time to celebrate all the creativity that takes place throughout the Angels Gate Cultural Center campus. 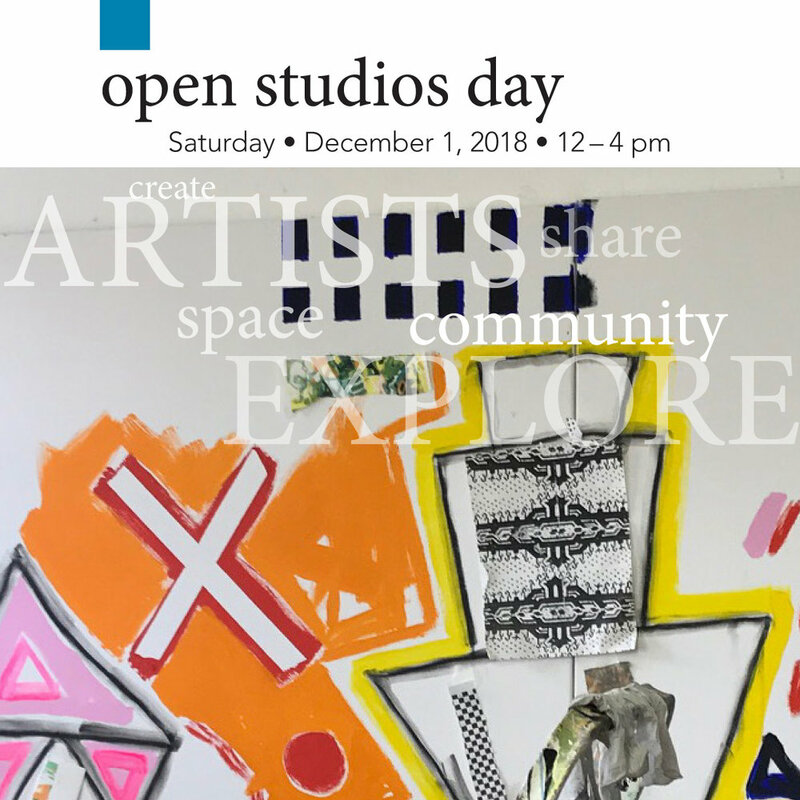 Don’t miss your opportunity to visit our artists’ studios, speak with artists, see new work and buy art directly from the artist. Angels Gate Cultural Center holds a variety of classes from ceramics, printmaking, painting and drawing classes to yoga, dance, meditation, karate and Japanese archery. This year the Community Classes will provide demonstration and performances in Building H. In Building E the Print Studio will be open and demonstrating the different printmaking techniques. Students’ art from our Artists in Classroom program will be shown in Building G. Teacher Artists from the Artists in Classrooms program will be leading workshops for all ages, in which they will create their own unique souvenir from Open Studios Day. Make sure you stop by to see the students’ art from our Artists in Classroom program shown in Building G.
Currently in our upstairs galleries: Coming Into Being: Gathering the Elder in Me is an installation by multimedia artist and curator Laurie Steelink. Drawing on her Native American ancestry, the show combines photographs, paintings, drawings, and video with ephemera, artworks and photographs from her family’s collection. Downstairs photographer Tom Gugler brings together a new series of portraits of Southern California Indigenous people through photographs and printed matter in In a Good Way: What Does Your Land Mean to You?, as assembled with advisory direction from Louie Robles Jr. from the Acjachemen Nation and the Gathering of Elders Advisory Committee. In the galleries on Saturday December 1st at 2:00pm both Laurie Steelink and Tom Gugler will give insight into their work with an artist’s talk. Saturday, December 1 at the Angels Gate Cultural Center.